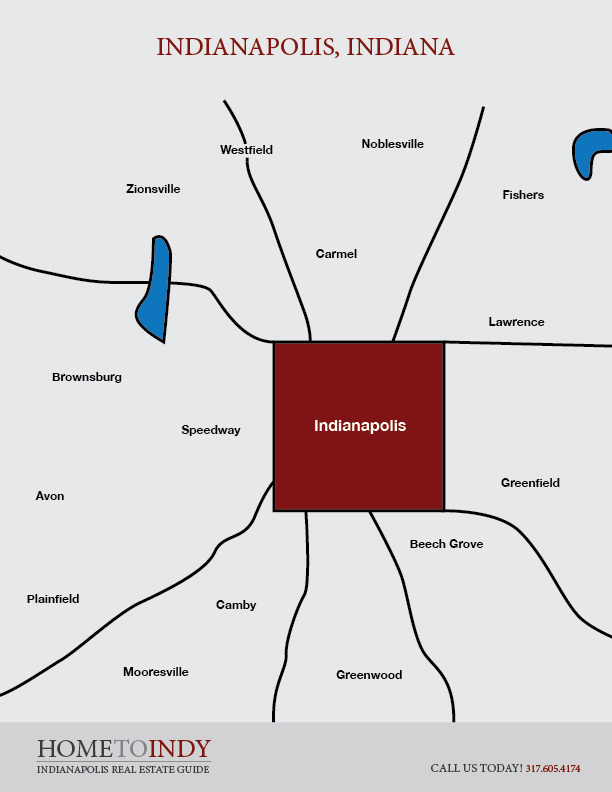 Maintenance free living communities in Indianapolis come in a variety of styles and varying amenities. From free standing condos to paired patio homes and quads, there is a variety of choices of maintenance free homes and condos throughout the Indianapolis area. Maintenance free communities in the North include homes located in Carmel, Fishers, Noblesville, Westfield, Zionsville, areas north of Geist Reservoir and Washington Township outside Interstate 465. Maintenance free communities in the West include homes located in Avon, Brownsburg, Danville, Plainfield, Pittsboro, Eagle Creek and Traders Point, as well as Wayne and Pike Township, outside Interstate 465. Maintenance free communities in the South include homes located in Greenwood, Bargersville, New Whiteland, Whiteland and Mooresville, as well as those within Franklin, Perry and Decatur Township, outside Interstate 465.